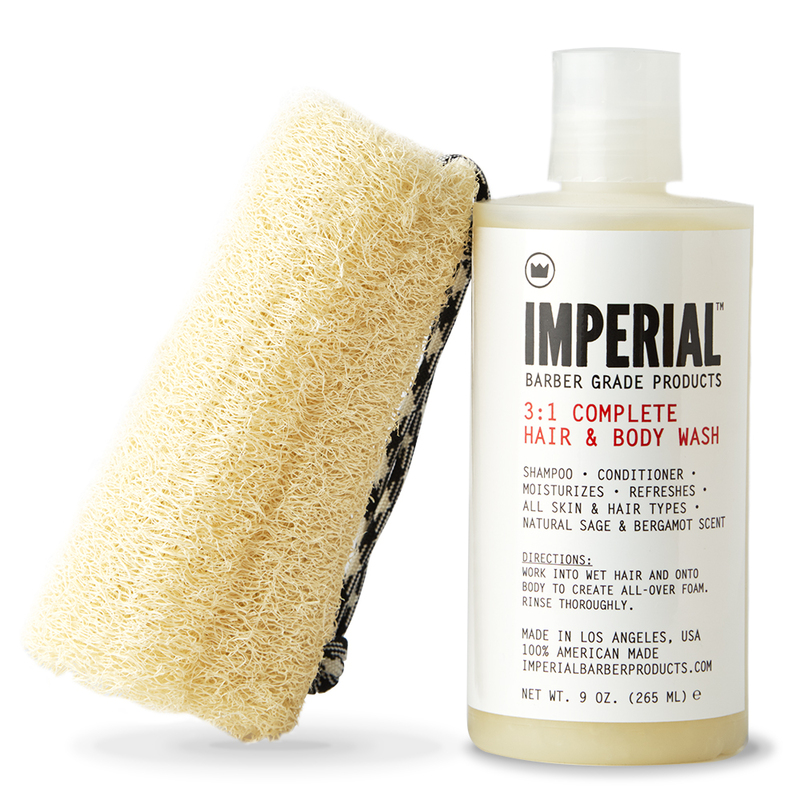 The Imperial 3:1 COMPLETE HAIR & BODY WASH takes function and efficiency to a new level. 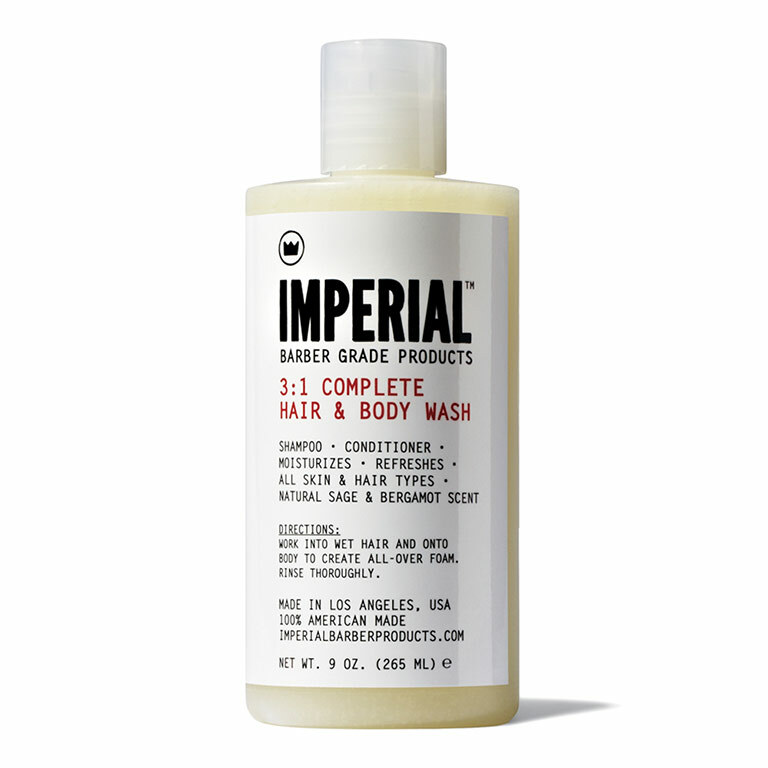 As barbers, we wanted a 3-in-1 (shampoo, conditioner, body wash) product to work and feel the way we wanted. Nothing on the market did it for us, so we made our own version of the all-in-one concept. 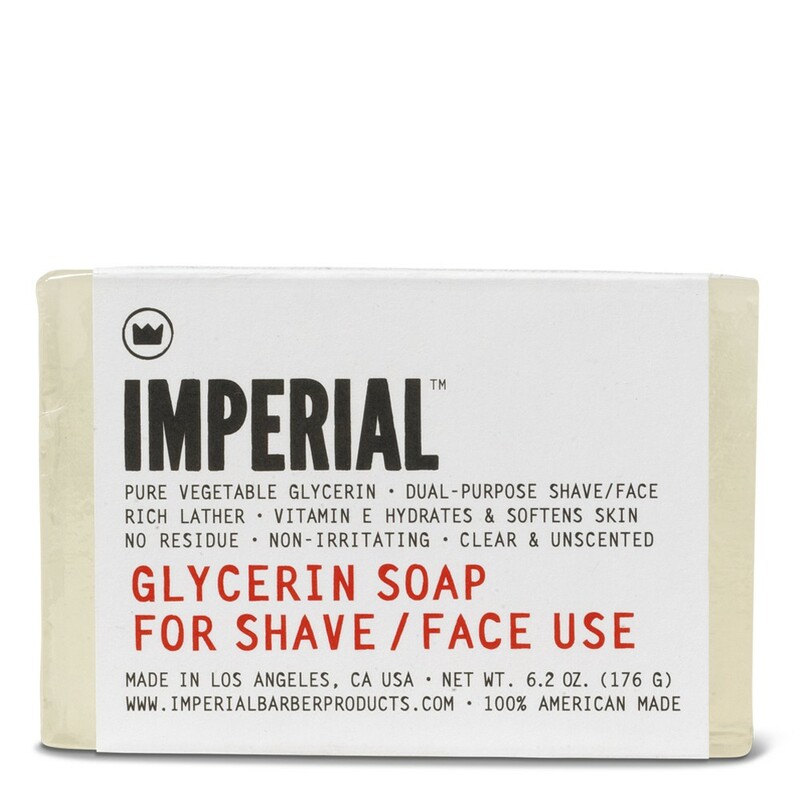 We made a formula that activates a rich, foamy lather boasting a sage and bergamot scent easily. We infused organic argan oil and pro-vitamin B5 in the mix to keep your hair strong and green tea extract to protect your body’s skin from harsh environmental elements. 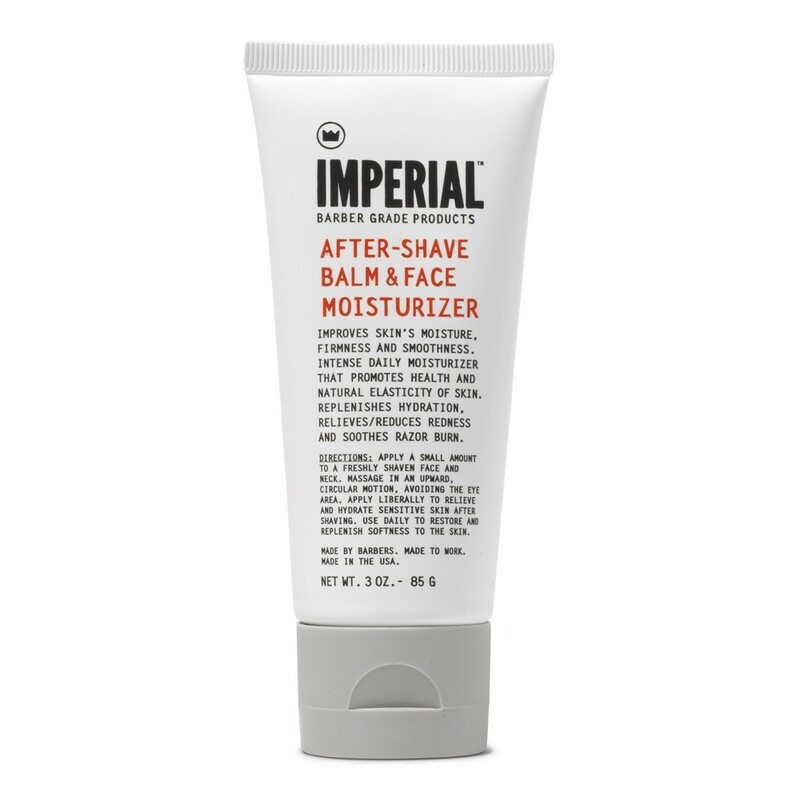 It’s not the first of its kind, but our 3:1 COMPLETE HAIR & BODY WASH perfects the concept to work harder for you and last longer. 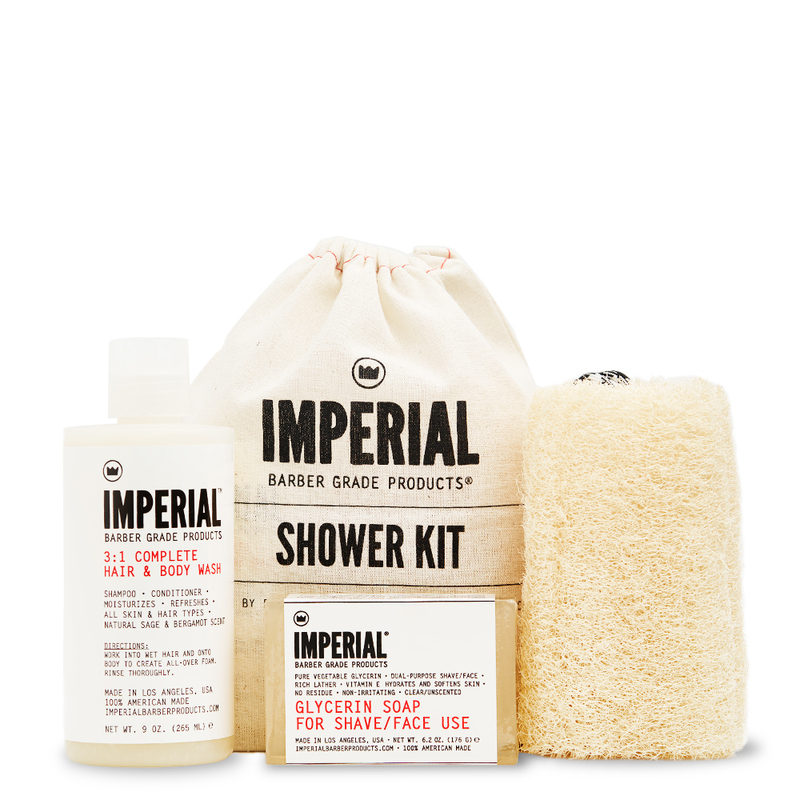 It’s exactly what you would expect from your Imperial. Always looking out. Use our 3:1 COMPLETE HAIR & BODY WASH for easy rinsing and cleaning of any of our hair finishing products after a hard day’s work. 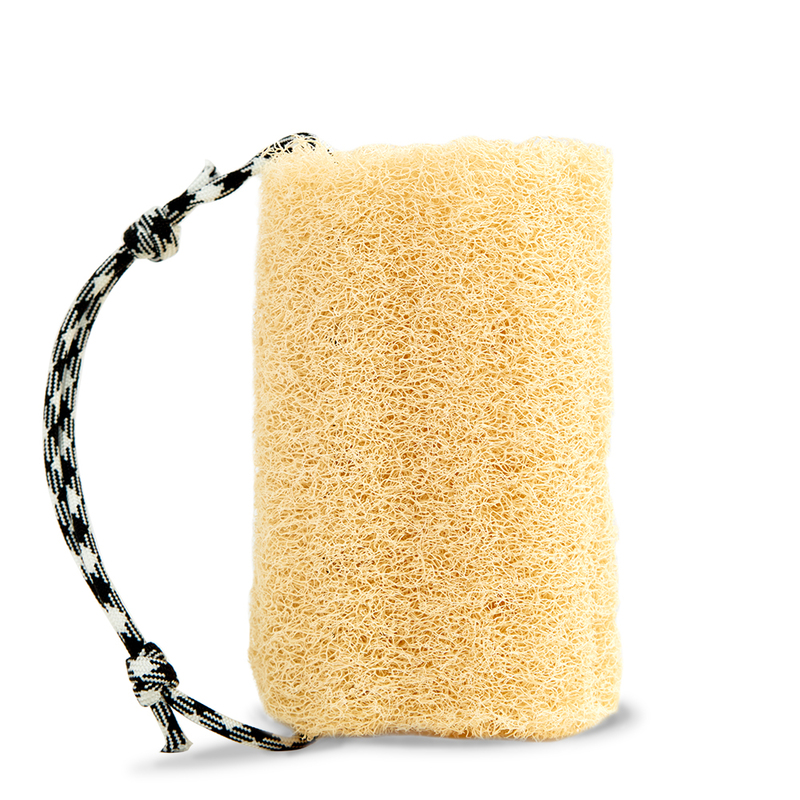 We also recommend using our CALIFORNIA-GROWN LUFFA to help clean the body thoroughly.